As marketers, we've gotten quite good at evolving our playbooks when it comes to SEO. But the changes we've seen to this point are nothing compared to what's coming next. We're no longer in the "early stages" of a new era of search -- we're here, now, witnessing new trends and best practices unfold in real time. First, it was an era tied closely to patterns such as mobile, social, and voice search, among other things. But many marketers are past the point of being on the cutting-edge of those patterns, and want to know, "What now?" Now, we also have topic clusters and messaging apps. 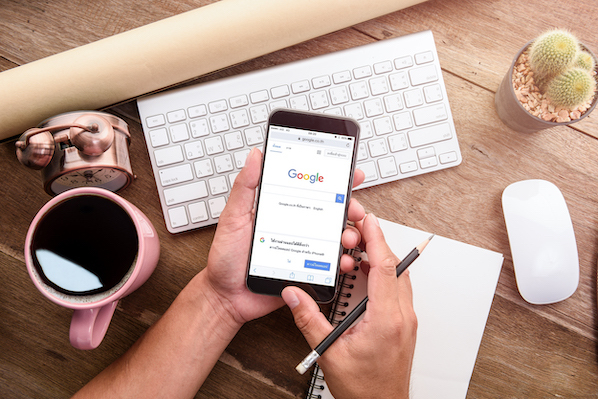 Make no mistake: Mobile, social, and voice search are still major players in the SEO game. Prior to their entrance onto the landscape, SEO predominantly revolved around browser-based search engines. More precisely, it's been linked directly to Google. That's where all the search activity has been. That's where content consumption has historically started. But now, new universes of search are taking shape outside of the browser window. In many of them, the rules for optimization have yet to be defined -- but why does that matter to marketers? Well, in a nutshell, changes in the way people search indicate changes in the way they discover your content. 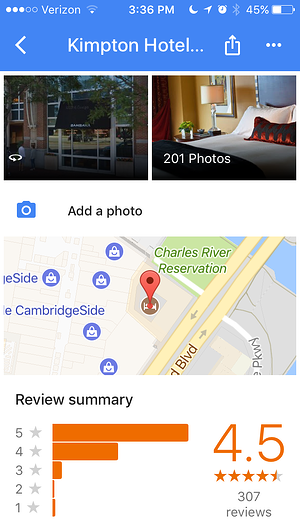 They're using new keywords and shaping queries in different ways; e.g., what may have once been a query for "Boston restaurant" might now look more like, "Where should I eat tonight?" Let's dive back into these four search patterns that are changing the face of SEO. Despite these changes, SEO still stands for "search engine optimization" -- for marketers, the "optimization" part is what requires agility. Google defines the strategy as "the process of maximizing the number of visitors to a particular website by ensuring that the site appears high on the list of results returned by a search engine." And while that, to some extent, remains true, we've widened the circle around the search engine results page (SERP). Of course, keep your eye on your ranking, but also, look farther out on the horizon. To learn more about the basics of search take our SEO training course. You've likely heard the word "organic" associated with SEO. That's because, when done properly, your content should be a natural result of search engine queries for the topic at hand. Sound good? Great. Let's have a look at some of the new ways users are organically discovering this content. Here's a fascinating little tidbit that changes everything. We all know the lion's share of web usage has moved from desktop to mobile devices. At last count, 71% of U.S. internet use took place on mobile. It's a figure, somehow equally astounding and obvious, that once led expert Benedict Evans to nudge, "We should stop talking about ‘mobile’ internet and ‘desktop’ internet. It’s like talking about ‘colour’ TV, as opposed to black and white TV." "Mobile is the internet," he declares. Now, that would be change enough, but the fascinating little tidbit I'm talking about? That's still to come. 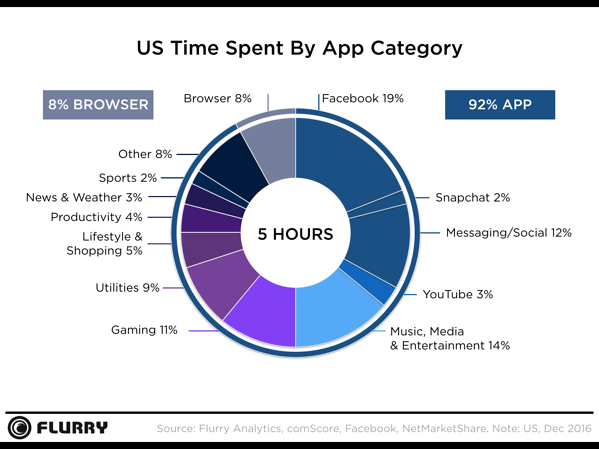 According to Flurry Insights, it turns out that 92% of the time we spend on phones is spent in apps. So, if internet activity is growing on mobile, and mobile activity is predominantly spent in apps, what does that mean for search engines? Over the years, user experience improvements have been made to app searches -- which was somewhat inevitable, as Spotlight search as the sole option for searching within apps (and, in some cases, even bypassing Google to bring you some web results) wasn't a sustainable solution. 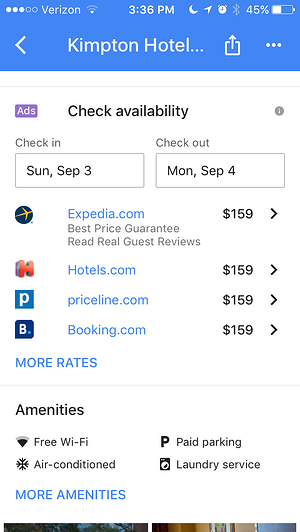 Let's have a look at how the search capabilities within these apps themselves have also evolved -- there are certainly repercussions for marketers there, too. Once thought of strictly for GPS capabilities, map apps are now being used as geographical search engines in-and-of themselves. 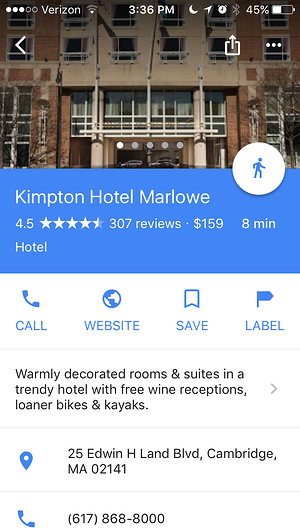 Google Maps is a prime example -- consider all of the information now contained in a single business listing. So, we're beyond the initial days of SEO for apps and the content within them. Messaging apps also play a vital role there -- we'll get to that in a bit. Something has been happening on our favorite social channels. Over the last few years, platforms like Facebook, Instagram, and Snapchat have all released features that collectively signify a massive shift in the priorities of social channels: to make it just as easy -- if not, easier -- to search for content as it is to search for people and brands. 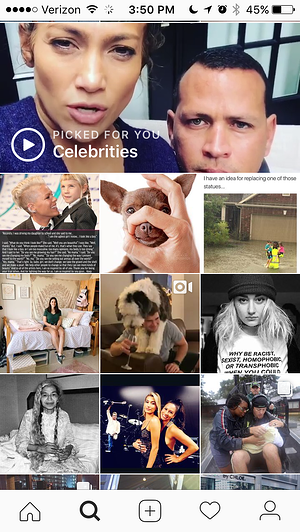 As a rule, I don't follow a ton of celebrities on Instagram -- unless, of course, you count certain famed dachsunds -- and yet, Instagram curated a collection of images from them that it algorithmically believed I would want to see. It's an indication that optimizing for social channels is an entirely different game than optimizing for Google -- one that takes into account a user's behavior within an app, such as likes, tagged locations, and accounts followed. The far-right photo in the second row, for example, is from the account of an influencer based in Milwaukee, where I happen to spend a significant amount of time. The second search-related change on social has to do with how these channels are beginning to treat content. We call them social "channels" because these sites have historically been a pass-through for businesses and publications -- a way to promote content and get viewers back to your websites. But consider recent changes within Facebook, however, designed to keep viewers on their sites and in their apps, with no pass-through -- e.g., Instant Articles, which contain the full article within the Facebook app rather than requiring a clickthrough. Social media has long been considered a powerful channel through which visitors find content on your website. These less-than-subtle changes, however, are reshaping the face of content discovery. And as content becomes more decentralized away from the website, optimization of that content will likely continue to change, too. In the last few years, we've been introduced to Siri, Google Now, Cortana, and Alexa -- voice-activated personal assistants created by Apple, Google, Microsoft, and Amazon, respectively. The emergence of voice-activated personal assistants has run alongside the rapid development of connected devices beyond the desktop computer or smart phone. Everything from watches to scales, home speakers to lights are now connected to the internet and its never-ending sea of information. As our access to the internet has diversified, so has our search behavior. How so? Let's take a look. 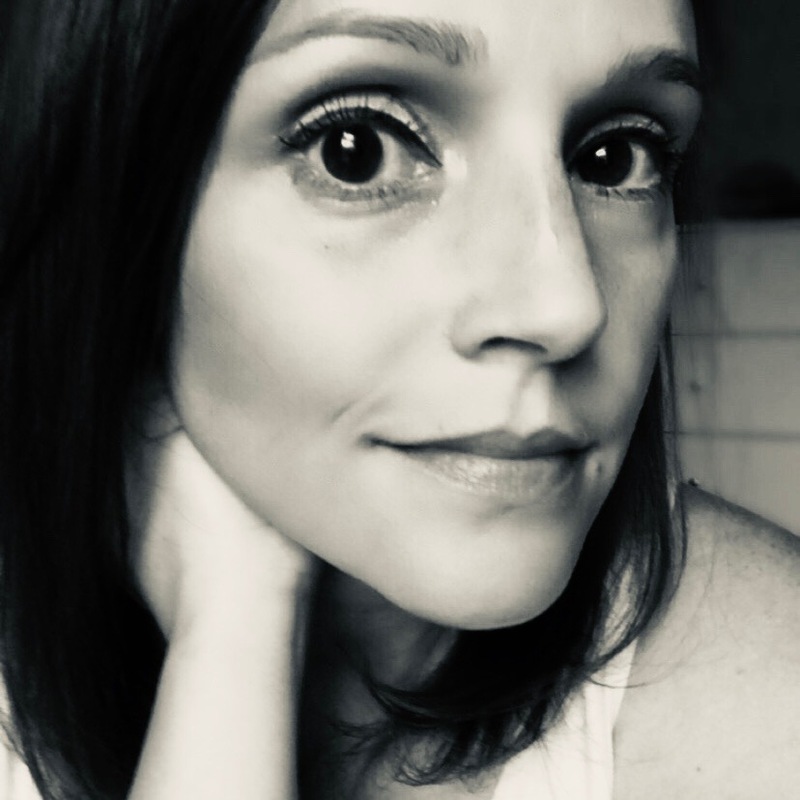 Natural language: Each morning, explains HubSpot Vice President of Marketing Meghan Anderson, "I get up, stagger to the coffee pot and utter the phrase: 'Alexa, what's new? ', and Amazon's Alexa -- which is based on a speaker on my countertop -- dutifully answers: 'Here's Meghan's Flash Briefing.' She then plays news and weather relevant to me and my location. I don't structure the search query. I don't use keywords. Alexa is smart enough to associate natural language with a request." Expanded search windows: Because of the prevalence of connected devices, we're no longer only searching when seated at our desks or in a convenient place for typing on our phones. With a vocal command (read: "Hey, Siri") or push of a button, search can happen anywhere, at any time, just by asking our devices, "How do I quickly remove soy sauce from a white shirt?" Just saying. In any case, this development influences both the volume of the searches we're conducting, and their composition. Context and history: Unlike browser search engines which still rely heavily on the expressed search terms, personal assistant searches pull upon the searcher's history and context. If I've ordered dog food before, Alexa pulls in the exact brand from past orders and asks me if I'd like to re-order it. If I have a flight leaving at 6 p.m., Google Home will let me know if it's delayed, or if traffic is particularly bad and I need to leave early. These searches -- if you can even call them all that -- remove a step, or several, from the research and get me to the point of action more quickly. Simply put, people shop and buy in a world of immediacy -- and, for that reason, messaging is how they communicate. Think about the last time you actually called someone to make plans. As for myself, I can't actually remember it. That's only one reason why messaging apps have grown in usage and popularity -- whether it's Facebook Messenger, on-site chat, or bots through a number of platforms, including social media and Slack. Buyers ask questions and get a quick response, which can be enabled by this technology. It's also a sign of the growing number of methods for users to seek an immediate answer when they need information. That means brands need to optimize their content and copy to respond to these queries to address this sort of omnipresence of communication options: on-site, in-app, and messaging. Plus, it's just another example of how people are going to expect solutions when they use natural language -- which means that marketers need to build out messaging platforms, like bots, to be able to provide conversational answers that actually provide the answer the user needs. One of our favorite examples here is Pegg, a financial assistant designed for startups and small businesses. 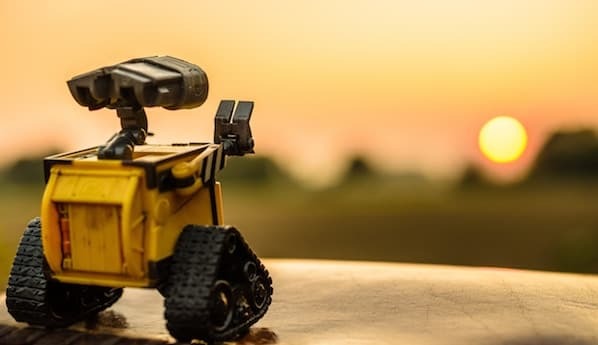 Pegg’s bot, HelloPegg, embodies the principle that, in this capacity, chatbots don't necessarily need to be loquacious -- they just have served the purpose solving real problems from real people with the same (or better) ability as a human. Topic clusters are a foundation of content strategy that my colleague, Matthew Barby, once described as "enabl[ing] a deeper coverage across a range of core topic areas, whilst creating an efficient information architecture in the process. That sounds more complex than it is in reality. 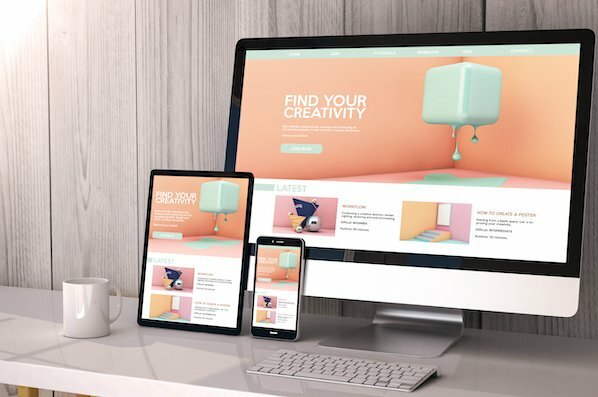 What I’m saying here is that through aligning sets of web pages into topic clusters, you can manage the internal linking between each more efficiently and also provide a better user experience for visitors." But why do topic clusters matter? With each of these trends -- mobile, voice, messaging, and social -- the common theme has been, "the way people structure their searches will be different." We're approaching a point where users will stop using disjointed long-tail queries, and will just ask questions, without context, whenever they need an answer. Thankfully, topic clusters can shift your search strategy to something more topic-based, where -- in a world where to get found, marketers need to consider how people are actually searching -- can help you structure and build messaging with natural language, based on these topics and the input data around them. Changes in behavior always precede changes in strategy. The point of drawing attention to these new search patterns is not to raise alarms -- rather, it's to raise eyebrows. While the future is uncertain, one thing is clear: The world of search is not ending, it's expanding. And expanding worlds call out for exploration. Editor's Note: A version of this post titled, “Why You Won’t Recognize SEO in 5 Years” was published in 2016 and syndicated by third-party outlets. This updated version explores how those trends have been shaped in 2017.